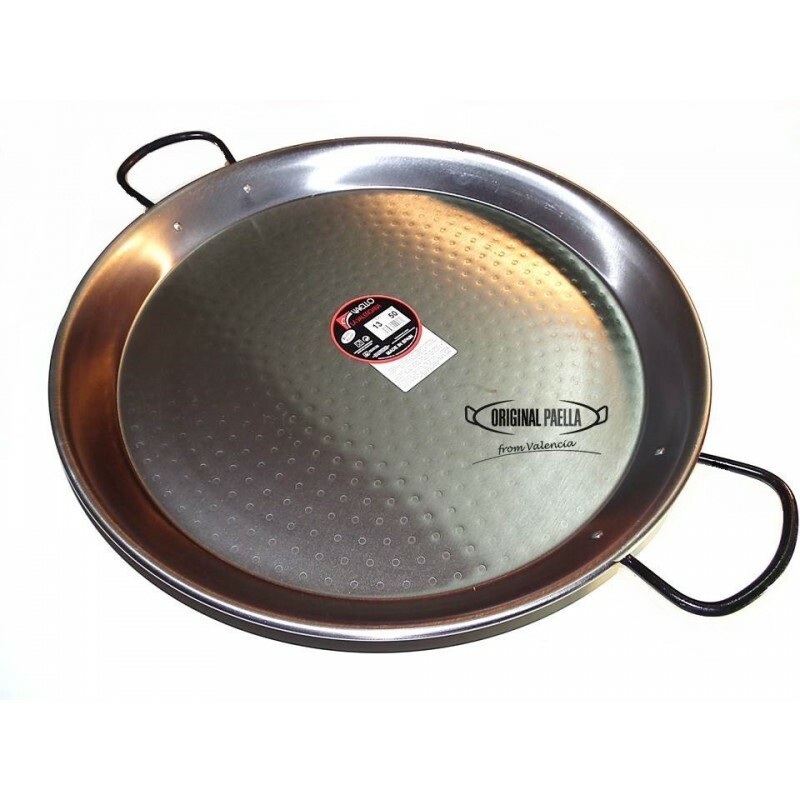 Polished Steel Valencian paella pan is the one traditionally used to make Valencian paella. Carbon steel conducts heat quickly and evenly. The steel is thin but quite rigid and durable. 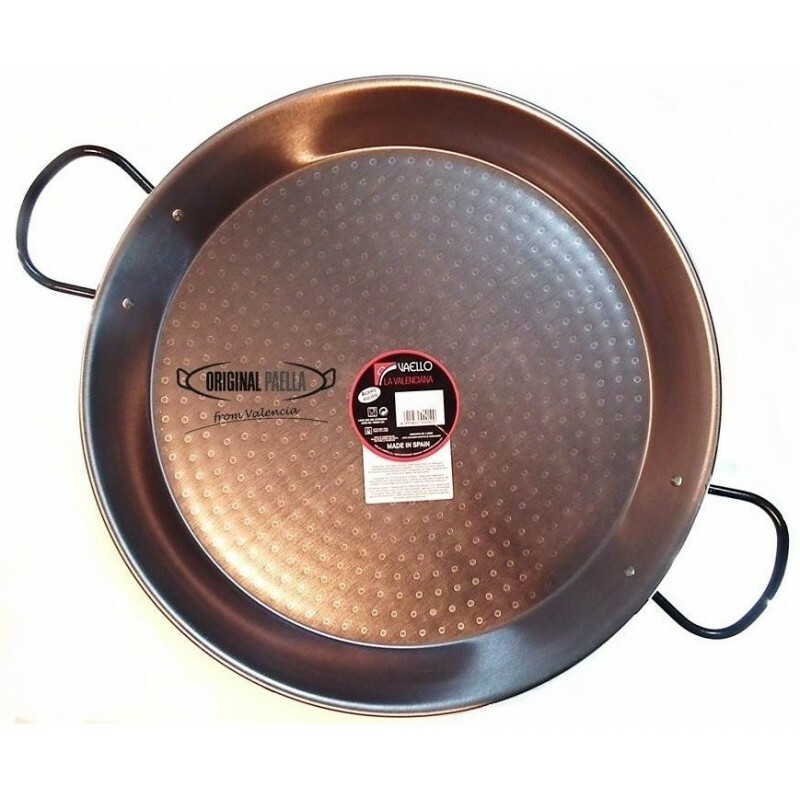 The pan bottom is dimpled in order to spread heat evenly. 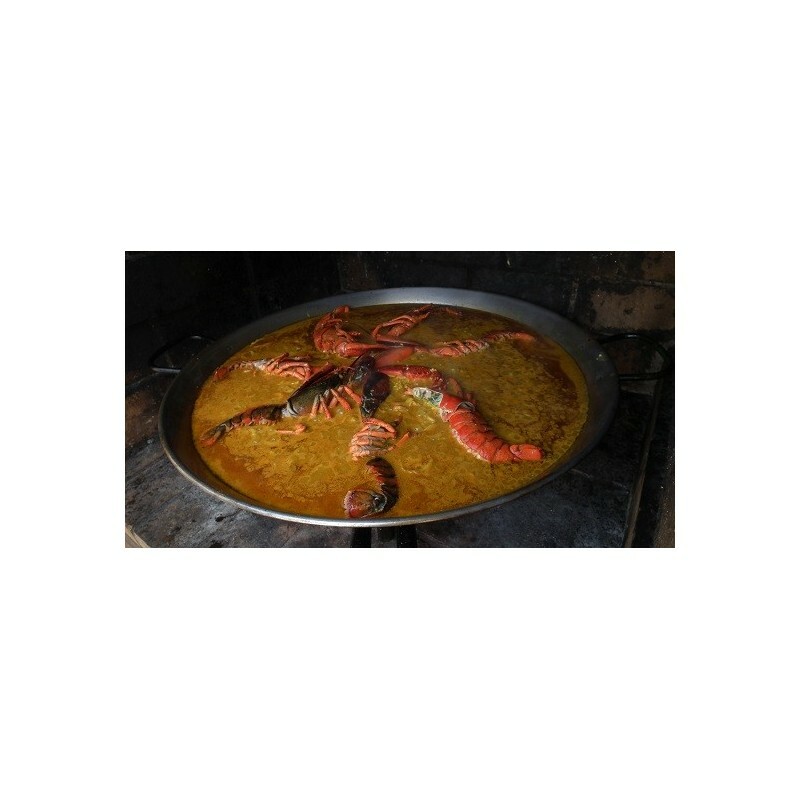 A 50 cm paella pan is large enough for 9-10 main course servings or 14 taster portions.